Tags: Analog recording technology, Audio interface for recording. I received this common inquiry by mail, so I decided to write a post on this to clarify these common questions. I read your article about how to make quality recordings and have a couple of questions. 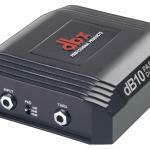 First I am planning buying an audio interface with built-in preamps and wonder which is best. I have read some reviews about presonus fireproject and motu and mackie onyx, and its very confusing to choose one. I also wonder if I need some external effects like compressor and processor between the different instruments and the audio interface. 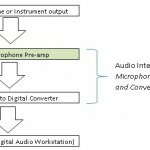 Many internet sites are writing about using DI boxes when recording guitar and bass, and compressor on drums and vocal. First, buying an audio interface with built-in preamps should not be that hard. 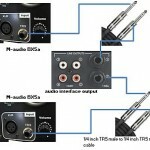 You can refer to this article buying an audio interface tips for beginner. I cannot advise you which is good or great because of the lot of factors involved, such as your budget, number of inputs, etc. But since you are talking about quality of recordings and the importance of having a quality signal chain; I would put a strong importance on the quality of the pre-amps. Researching further, I found out that some audio interface have decent and award winning preamps, such as Focusrite. I do not know with the others, but currently I am using Saffire Pro 40 which is a great sounding audio interface. 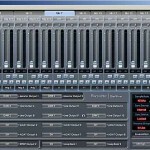 Saffire Pro 40 has eight inputs, although this might look too much for your needs, you can use one with lesser inputs. 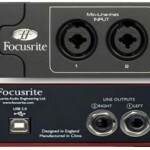 Manufacturers such as Focusrite use the same preamps both in their high-end and low end audio interface. 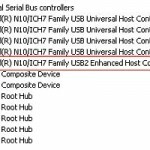 So for example, if you purchase a Saffire USB 6 (one of the cheapest on the Focusrite line of audio interface) it uses the same preamp with the Saffire Pro 40; only that it has two inputs. If you plan to buy another brand whether Presonus, Mackie or M-audio, try to read their manual or reviews and make sure you got a decent sounding preamps. Analog effects add warmth and realism to your recordings. Most of the time, producers are too obsessed with software effects (plug-ins, etc) only to complain the project lacks the analog warm sound at the finish. One very simple tip is to use analog effects on your recording. So yes, it is advisable to use analog gears like compressors, EQ before recording if that makes the recording sound great. You can even record all instruments using this technique and get the benefits of having a few processes during the mix (such as EQ and compression). A common example is live band recording. EQ and compressors can be applied on the guitar and bass guitar as analog effects and adjust for good sound before recording. EQ can be applied to increase clarity not only the guitars, bass but on the vocals also (cutting on the guitar EQ band, not on vocals). The same technique with the drums while only the vocals are recorded dry (without any effects). During the mixing stage; bass, guitars and drums do not anymore need digital effects since they already sound polished before being recorded. Only the vocals needs a little processing, so the overall result of your mix is warm and great sounding because of less digital effects applied.